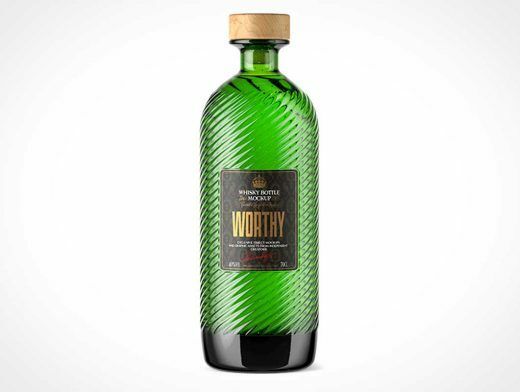 Present your awesome design on this PSD mockup of a green bottle. Premium quality. Easy to color different parts separately. Includes special layers and smart objects for your artworks. Example design included in the download file.